GJT GP1R is a 4K action camera. The FPS (frames per second) rate at 4K is 25, which is not too bad – but still, if you want smoother and sharper videos, I would recommend using the 1080P recording option instead. The video quality is good, and some will even say – amazing for a camera this cheap. I do want to mention that there are other action cameras in this price category that provide a little bit better video quality. One of them is YI Lite (Amazon link). This model is pretty new, and in my opinion – it will become a big hit very soon. It provides really good video quality – and made by a well known and trusted company. Another cool action camera you may want to check out is AKASO EK7000 (Amazon link). This sports camera is very popular. The video quality is excellent and it also comes with many accessories. It has all the basic features like WIFI and comes with a waterproof case. I won’t say that is is better than the GJT GP1R sports camera, but each device has its own pros and cons. Check them out both and see which one fits your needs better. The GJT GP1R sports action camera has a built in WIFI, so after downloading an app to your smartphone or tablet – you will be able to control it from distance. The WIFI range is reasonable – up to 10 meters. For many consumers WIFI is a must have feature. The password for the camera (when connecting your smartphone to it) is 1234567890 . In the past not all action cameras had WIFI, since the module was too expensive to include, but now – almost all sports cameras have it, and in most of cases – it works really well. GJT GP1R comes with different accessories and mounts. A waterproof case is included. 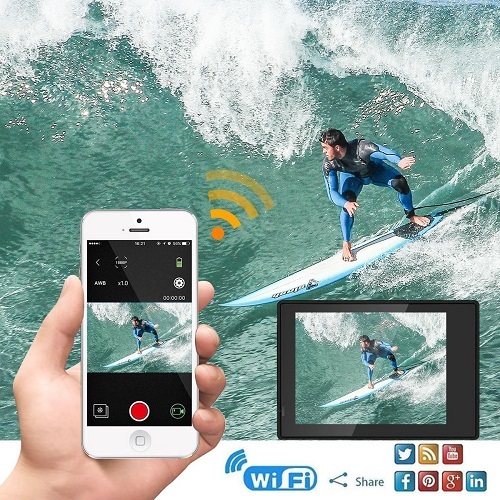 It’s easy to install, and you will be able to record really cool videos when in water. There are some action cameras that are waterproof without any case, but they cost much more money, and in my opinion – most people don’t need them. They are mostly used for film making and such. A 2.4G remote is included as well. Using it you will be able to control your action camera from distance. This is very useful for those who prefer not paring their action camera with their smartphone (it also consumes more battery by the way). 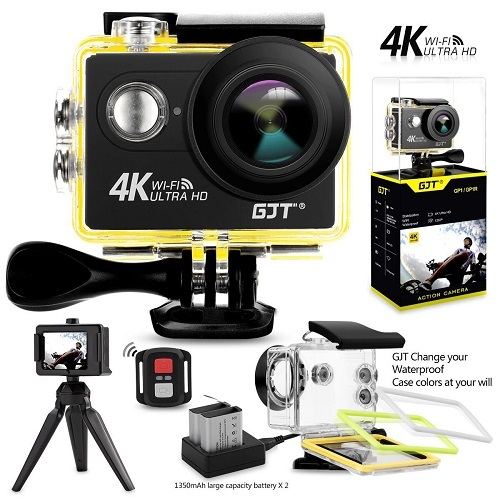 If you are looking for a high quality action camera with useful features and really good video quality – defiantly buy the GJT GP1R sports camera. It provides great value for your money. I hope you found this GJT GP1R review useful. 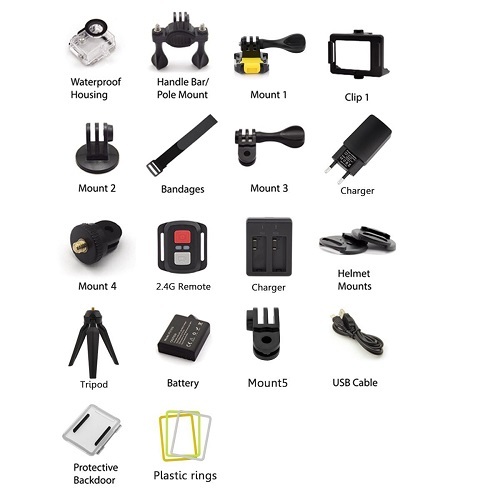 If you have any questions regarding this device or any other action camera – feel free to comment below.